Khao Yai National Park covers more than 2,000 square kilometers of forest and grassland in central Thailand about 3 hours from Bangkok. More than 50 km of hiking and biking trails wind through the long-standing nature preserve, and its many waterfalls include 150m-tall Haew Narok and 20m-tall Haew Suwat. 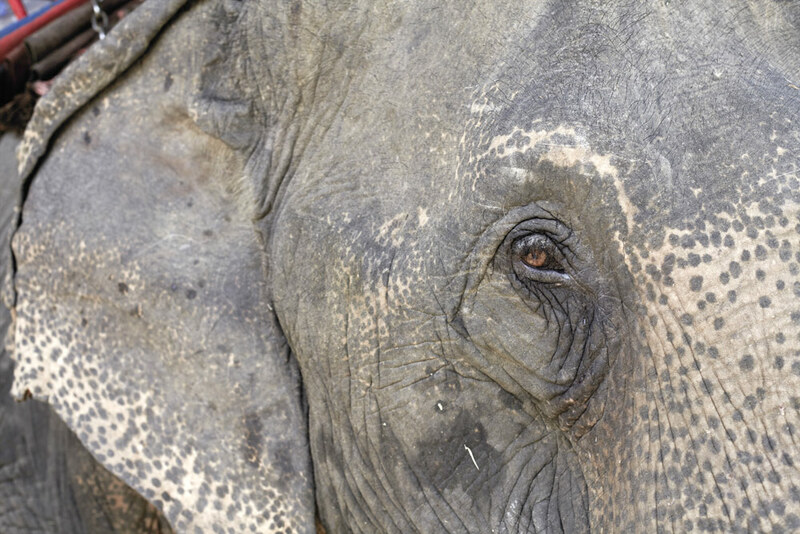 You might see a wild elephants that might come to the salt licks. This is a family excursion for whom looking for Nature and wild animals. 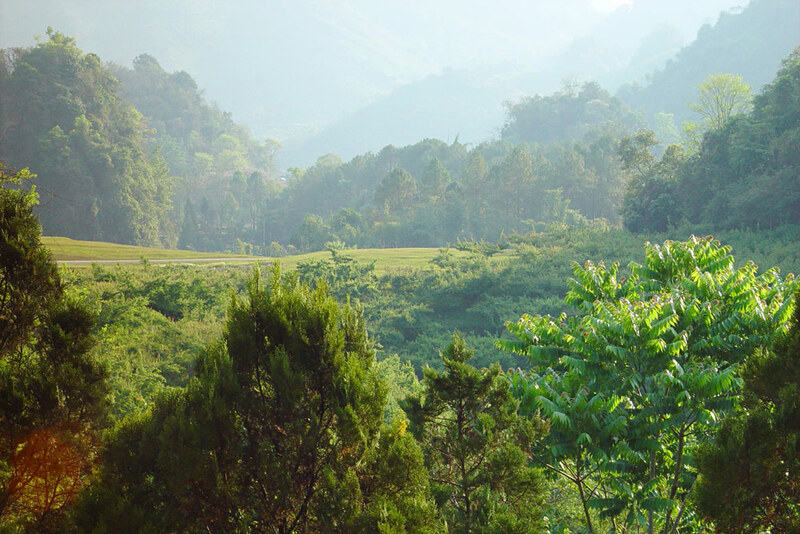 Pick up passengers from major Bangkok hotels and depart for Khao Yai. Check-in at the Khao Yai Nature Life Resort. In the afternoon half day visit of the Buddhist cave temple used by Buddhist monks for meditation. Later we go to an outstanding spot to enjoy a magnificent view over the area, and then we continue to the bats cave to see millions of wrinkle lipped bats flying of forming a snake like stream in the sky. Drive to the National Park. First we will visit the park Head Quarter and later our driver will take us to the trail. Here we will go hiking through dry evergreen forest where Gibbons, monkeys, hornbills are often spotted. 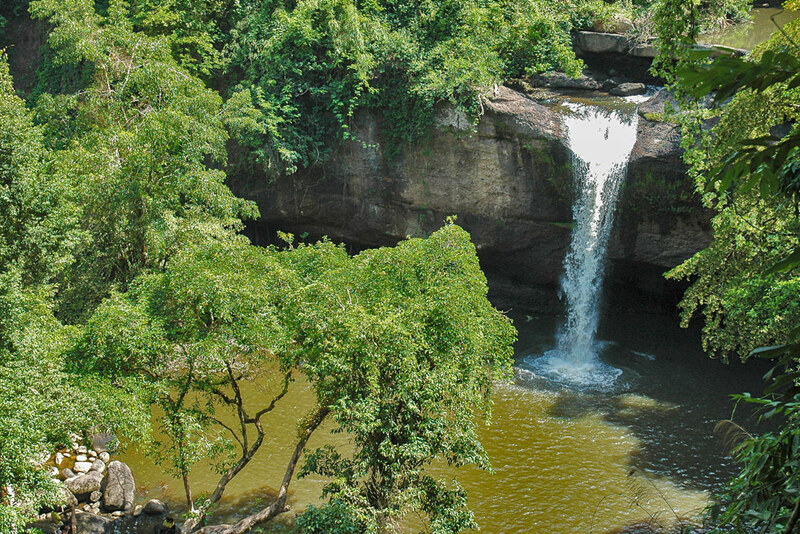 Then we will drive up to the Haew Suwat waterfall, famous from the movie “The Beach” and enjoy our picnic lunch nearby the waterfall. In the afternoon we will drive up to the second highest mountain of the park to go and relax at a stunning view point. In the evening we are going to see some wild elephants that might come to the salt licks. Join the group to visit the local market of Pak Chong to experience the lifestyle of the local people, sampling some Thai fruits (depending on season), then continue to explore a sandstone labyrinth with rock paintings dating back more than 2000 years ago. On the bizarrely formed rocks grow fig trees whose roots clutch the rocks with hundreds of lianas dangling down from the top. Here we indulge in the moment with only hearing the singing of the birds, the chattering of the squirrels and our own voices. Afterwards another highlight is visited, an extensive and nice Buddhist temple and place of pilgrimage. High on the mountain we will see Buddha’s footprint. The lunch will be enjoyed at the resort before we transfer back to Bangkok in the late afternoon.